Rappler's coverage of campaigns and elections in the Philippines. Know the candidates, political parties, power brokers, watchdogs & the voters. This is your site for timely reports, comprehensive data, expert analyses, online conversations, and citizens' collaboration. 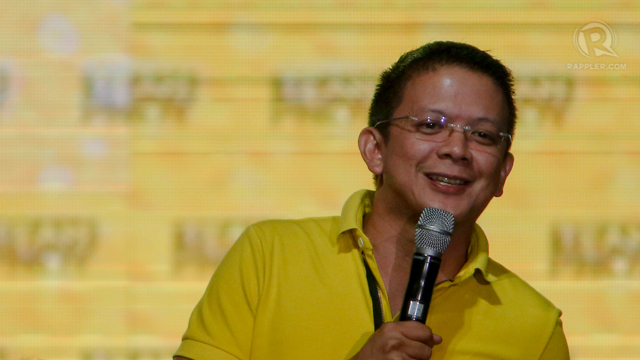 MANILA, Philippines – Sen Francis “Chiz” Escudero suffered the biggest loss in a survey conducted before a controversy involving girlfriend Heart Evangelista and her parents. A Social Weather Stations (SWS) survey conducted from March 15-17 showed that Escudero had the biggest decline of senatorial candidates in the so-called Magic 12, although there was no immediate explanation for it. The survey was conducted days before Evangelista's parents held a March 19 press conference denouncing him. The senator dropped 14 points, sliding down from rank two to 3rd-4th. Escudero is now tied with San Juan Rep Joseph Victor “JV” Ejercito, who leaped from his 9th-10th rank in the February survey, and gained 6 survey points. Both scored 48% in the poll. Ejercito is the son of former President Joseph Estrada, who Escudero has accused of campaigning against him. The former President and his son both denied the accusation. Escudero is a candidate of the administration slate Team PNoy while Ejercito is running under the opposition United Nationalist Alliance (UNA). The survey was released on SWS’ media partner, Business World, on Tuesday morning, March 26, although results were leaked to the media as early as Monday, March 25. The poll was conducted ahead of the start of the campaign period for local candidates on March 29. The release of the poll results comes a week after a controversy erupted surrounding Escudero’s relationship with Evangelista. Her parents held press conferences criticizing the senator for supposedly being disrespectful, arrogant and an alcoholic. Escudero has denied the allegations. The results marked the first time the senator slid down to rank 3-4, placing either first or second in surveys conducted in past months. He at times even tied with frontrunner Sen Loren Legarda. Next to Escudero, his campaign partner and fellow Team PNoy bet Grace Poe had the biggest decline in the SWS survey. Poe fell 6 places to rank 11th with a score of 40% or 8 points lower than her February numbers. Another significant finding is a rise in the numbers of Team PNoy candidate former Sen Ramon “Jun” Magsaysay. Magsaysay is now ranked 13th-14th, with SWS saying he is within striking distance of the Magic 12. The former senator climbed 5 percentage points, scoring 37%. SWS said the race is still too close to call, with 6 Team PNoy bets and two UNA candidates in statistical positions to take the top 8 slots. Four Team PNoy and 3 UNA bets compete for the last 4. “Given the statistical ties, the possible Team PNoy-UNA score could range from 10-2 to 7-5,” the SWS said. The survey used face-to-face interviews of 1,200 registered voters. The error margins are +/-3% for national and +/-6 for area percentages. Still leading the pack is Team PNoy bet Sen Loren Legarda, placing first at 59% even if her numbers dropped 5 points. Senate Minority Leader Alan Peter Cayetano is the new second placer, with a score of 57% although he dropped one point. 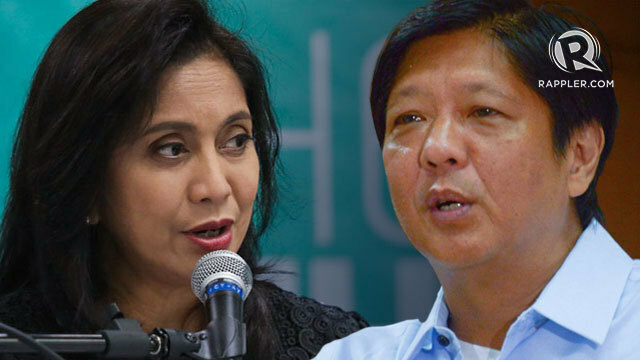 Tied at 5th-7th with a score of 47% are UNA’s Nancy Binay, and Team PNoy’s Sen Aquilino “Koko” Pimentel III and former Las Piñas Rep Cynthia Villar. Binay’s numbers were unchanged while Pimentel dropped one point, and Villar’s numbers fell by 6 points. 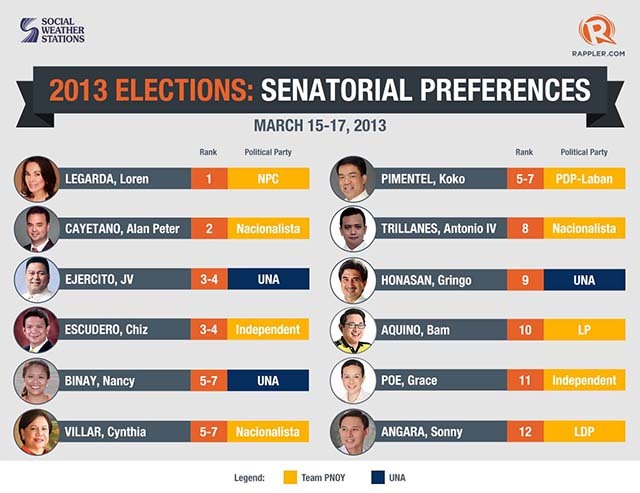 Team PNoy’s Sen Antonio “Sonny” Trillanes IV ranked 8th, with 44%, down two points from February. UNA’s Sen Gregorio “Gringo” Honasan II rebounded to the Magic 12, now at rank 9 from rank 15 in February. Honasan scored 43%, up from 34% last month. Administration bet Bam Aquino is now at rank 10 from 9th-10th last month. His survey score is unchanged at 42%. After Poe, Aurora Rep Juan Edgardo “Sonny” Angara rounded up the top 12 with an unchanged score of 39%. He was at 11th-12th in the February poll. Within striking distance were Cagayan Rep Juan Ponce “Jack” Enrile Jr of UNA and former Sen Magsaysay at rank 13th-14th with scores of 37%. Unlike Magsaysay, Enrile’s numbers continued to drop by one point in March. UNA’s resigned Sen Juan Miguel “Migz” Zubiri fell out of the top 12 for the first time. He ranked 15thwith a score of 35%, down 4 points from February. He placed 11th-12th in February. Ahead of the release of the survey, Ejercito already issued a statement Monday greeting news that he is one of the big gainers. “Muli, salamat po sa sambayanang Pilipino sa patuloy ninyong pagpapakita ng suporta at tiwala sa akin. Sakaling mapabilang sa Senado, gagawin ko ang aking makakaya upang mapaginhawa ang buhay ng mga Pilipino," he said. (Thanks to the Filipino people for your continued support and trust. If elected, I will do my best to help uplift the lives of Filipinos. Team PNoy likewise welcomed the survey results, saying it showed the group’s strong showing 6 weeks since the campaign period for national candidates began. Administration slate spokesperson Marikina Rep Miro Quimbo warned against reports that UNA will “unleash negative campaigns against Team PNoy candidates in the last 4 positions of the magic 12.” He cited UNA’s criticism of Bam Aquino after his survey numbers rose last month. “[The survey] validates that our message-oriented campaign is getting better headway with the electorate than the old, personality-oriented and negative-attack campaign of UNA …. 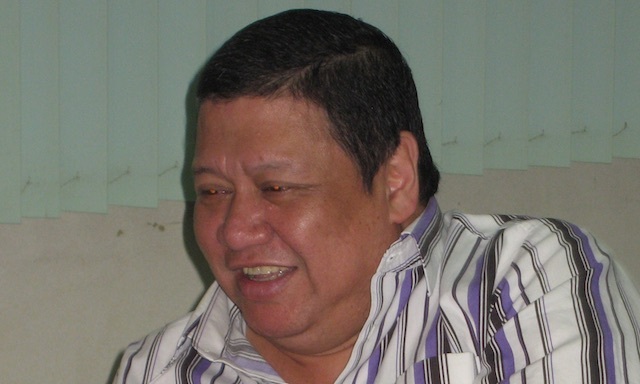 We are elated that the survey-movers have remained those mainly from Team PNoy,” Quimbo said in a statement. UNA though is not as enthusiastic despite the improved numbers of some of its candidates. UNA campaign manager Navotas Rep Toby Tiangco told Rappler the alliance will not comment on SWS survey results until the pollster responds to its demand to disclose who subscribed to and commissioned its surveys. UNA has not subscribed to the SWS polls since January. Tiangco reiterated that the SWS must comply with a Commission on Elections resolution. UNA stalwarts Vice President Jejomar Binay and former President Joseph Estrada earlier questioned the SWS February survey that showed only 3 UNA bets in the top 12. 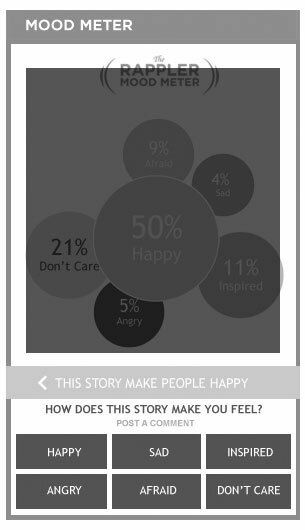 We can't serve the Mood meter on your browser at the moment. We are aware of this and are working to make it available to you soon. If you want the full Rappler.com experience now, please download the latest version of Firefox, Chrome or Internet Explorer. How did this story make you feel? •Who's the real congressman of Northern Samar? Find your region and check out who's winning from the provincial, district, and municipal level.